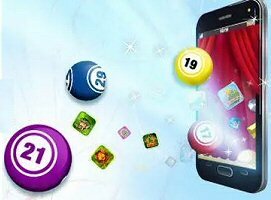 How to win money at live and mobile bingo games. There are very few guarantees in life, and none at all among the entertainment mecca that is the gambling industry. Well, that’s not exactly true. The one guarantee in gambling is that the house will always win in the end. That goes for winning at bingo, too. “How?”, you ask, knowing full well that bingo is a player-vs-player game, much like poker (minus the skill factor). Simple… because the bingo ‘house’ collects a small portion of all bingo ticket sales. If every bingo card is $1, and the house keeps 5%, that means they pocket $0.05 per card sold. That adds up really quick over a long session of games, especially for online and mobile bingo operators that host games 24/7/365. Aside from deliberate and calculated cheating, there are no guarantees that you, or any specific player, will win at bingo. Sure, if you play long enough, you’re bound to win eventually, but how much might you lose in the process? Fortunately, there are some things you can do to increase your odds and frequency of winning. Playing bingo with a lot of cards on the table—as so many avid fans do—can be a trial in expedient daubing. Lose focus, and you’re more likely to miss a number that’s called, or accidentally pass over a called number on your card. There are lots of free mobile apps that will help you improve focus and concentration. In a live bingo game, try to arrive early and get a seat as close to the caller as possible. Not only will you be able to hear the called numbers easier, you may gain a speed advantage over your opponents. If there’s only one prize per game, being first to shout ‘Bingo!‘ is imperative, and any slight advantage can help. Before you buy any cards, see what promotions they might be running. Many bingo halls will offer package deals, like buy-3-get-1 free, or buy 2 packs of 4, get 1 pack free. Maybe seniors or military personnel get a discount on certain nights. If you qualify for a discount, or can purchase tickets with a bulk promo, take advantage of it. While live bingo halls do tend to offer special promotions, you’ll find many more at online bingo sites. New players can get a welcome package with a no-deposit bonus to play for free, and will get an additional bonus with every deposit made thereafter. Add to that penny games, B1G1F games, and auto-daubing features that eliminate the need for concentration, and it’s a win-win. Not every online bingo website is a good choice. Some are more respectable, better regulated, and have more reliable track records for customer satisfaction. Once you’ve narrowed it down to the good ones, compare things like deposit methods, sign-up bonuses and reload deposit offers. Choosing the best bingo site for your needs can make a huge difference. I’ve said this more times than I can possibly count. All forms of gambling should be seen as entertainment, not as a project in which you try to figure out how to win money. As I said above, the house always wins in the end. So long as you’re having a good time, and playing within your budget, the entertainment value should be enough satisfaction when you aren’t fortunate enough to win at live or mobile bingo games.